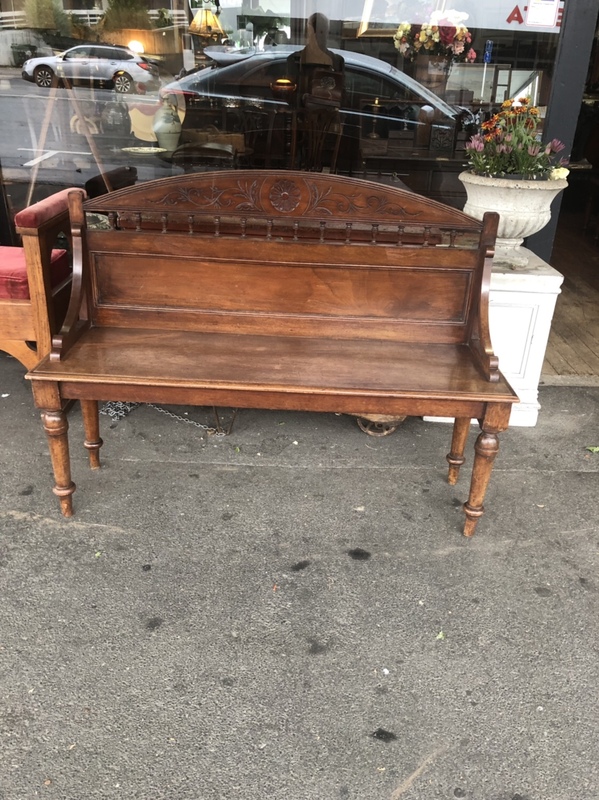 Walnut settle of small proportions. Good colour and condition, circa 1890. 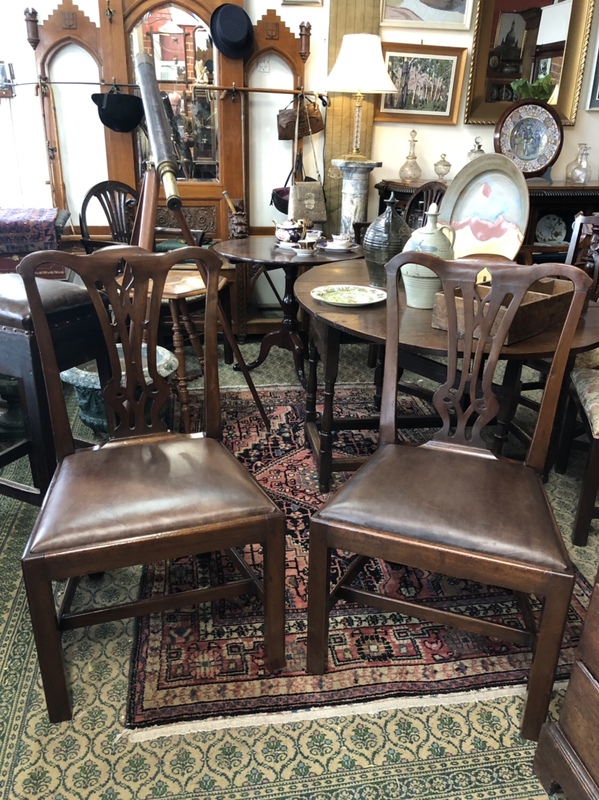 A pair of Chippendale style chairs in Mahogany with upholstered leather seats. 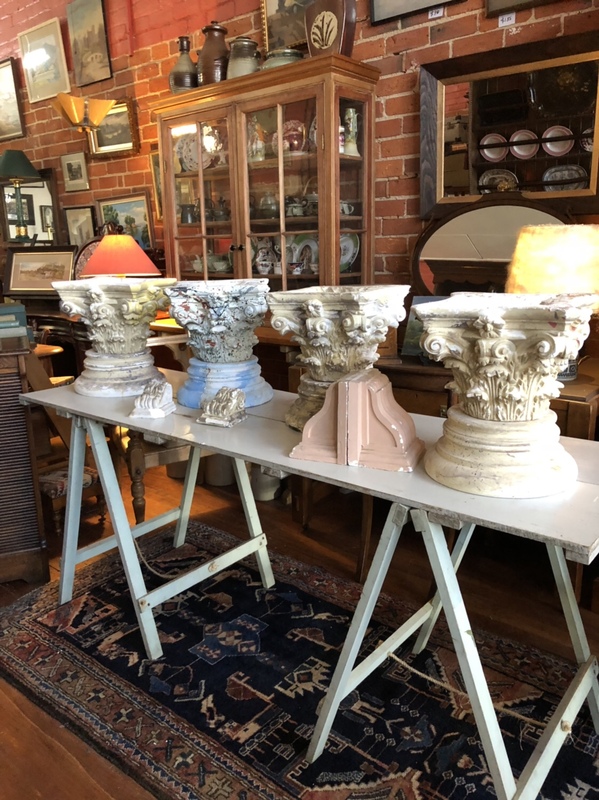 A set of six elm Hepplewhite English Country Chairs, good colour. 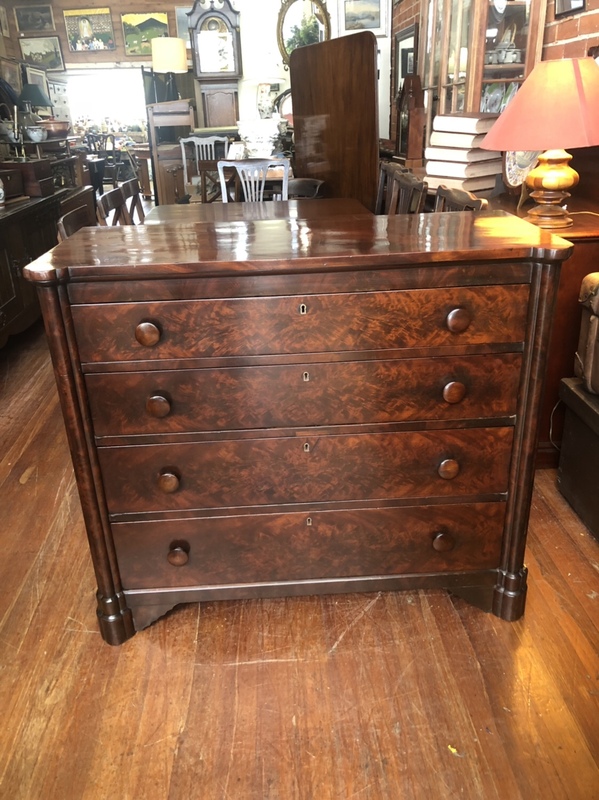 A Victorian Gothic Revival four drawer chest of drawers with cluster column supports in figured Mahogany. 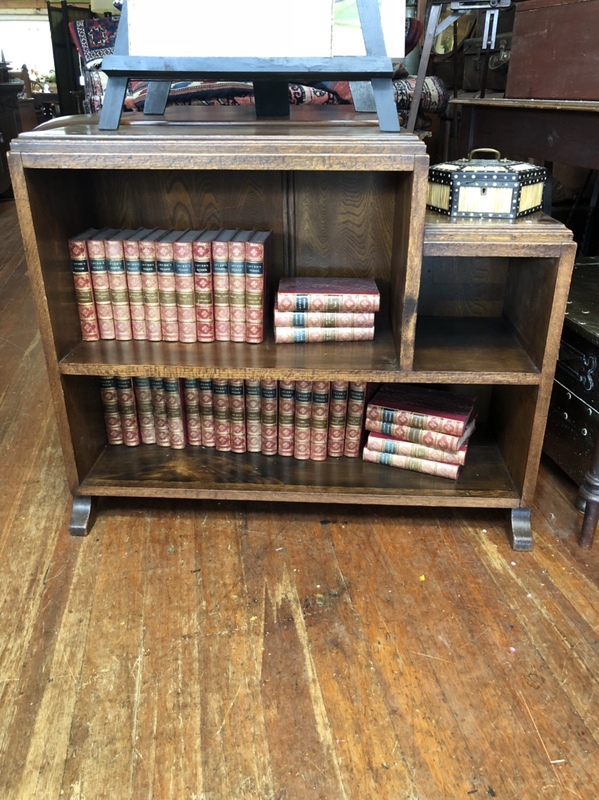 Oak bookcase of small proportions, in good original order. The bed in its fully extended position. SOLD This item has now sold. 111a. A Metamorphic Invalids Bed. 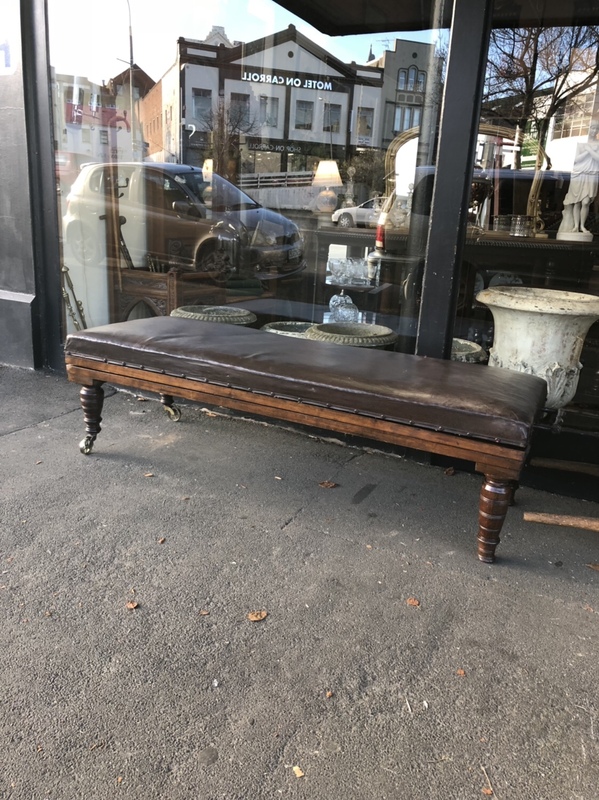 A metamorphic invalids bed great original condition with adjustable scissor action rise and fall mechanism, having the makers label and plaque, of Alfred Carter 47 Holborn Viaduct London. 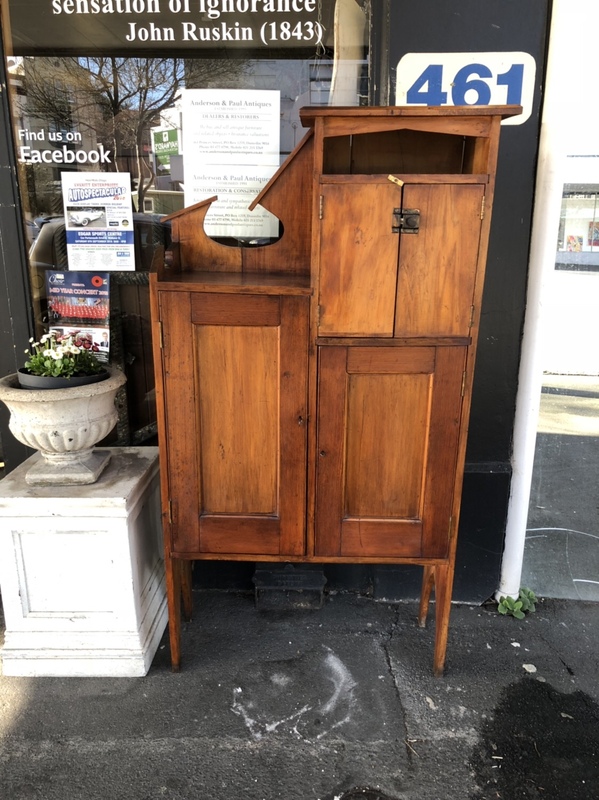 An interesting Folk Art Cupboard in Rimu and Oregon. Good colour with nice small proportions. 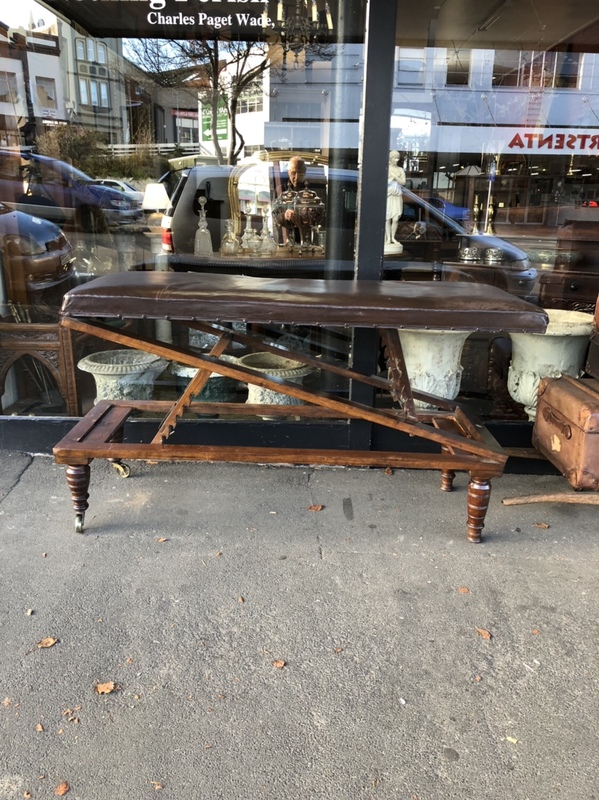 Vintage painted Trestle Table with folding top. 108. 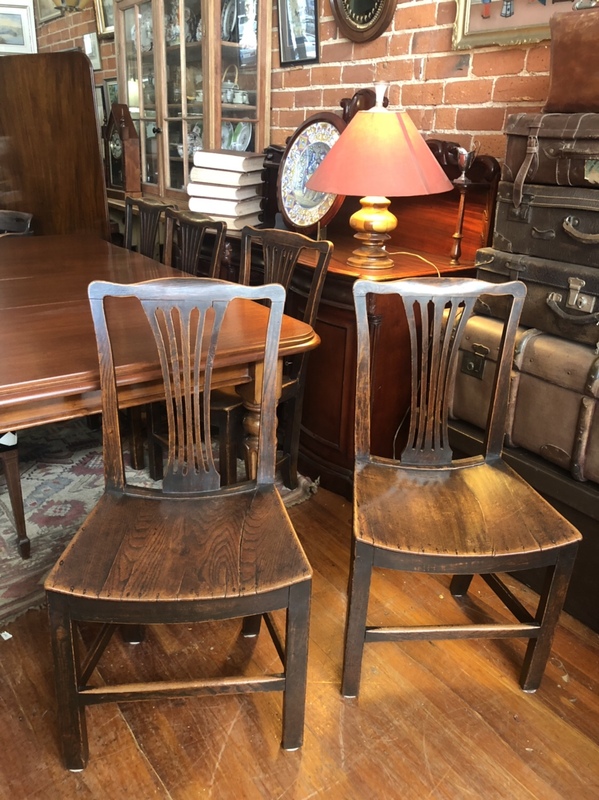 Pair of Arts and Crafts Arm Chairs. 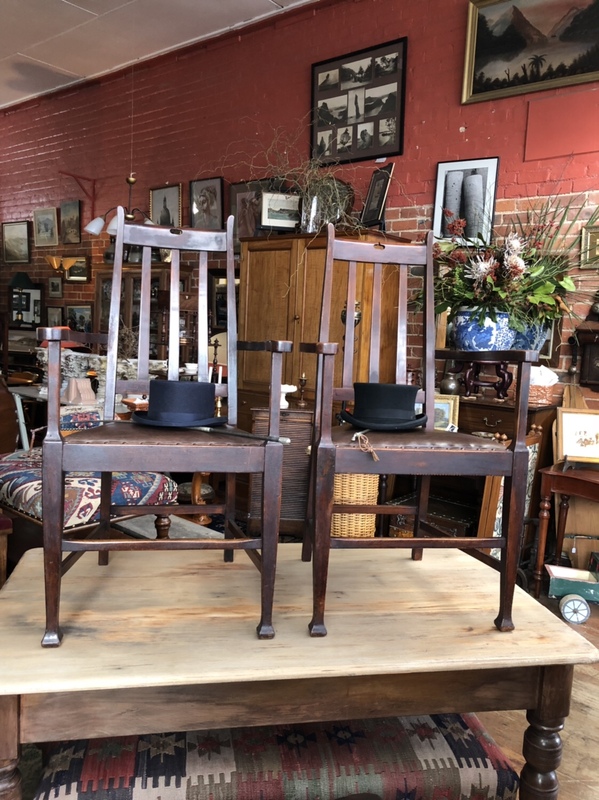 A rather stylish pair of Rimu Arts and Crafts Carver Chairs with good colour and patina, covered in leather.